You wake up, alone, in a world completely unknown to you. You have no memories of your past, you don’t know how you managed to reach this world and the only thing you can do is go on and try to find the truth. 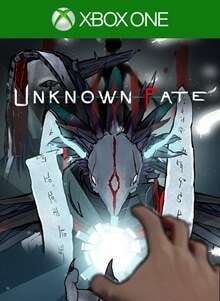 Unknown Fate is a single-player first person puzzle-adventure with a mysterious story, puzzles to solve and enemies to defeat. Travel in incredible worlds solving the puzzles around you and collecting Richard’s lost memories to uncover the truth about Richard’s journey. Unknown Fate is a surreal first person puzzle-adventure with a mysterious story. Travel in incredible worlds solving puzzles and collecting Richard’s lost memories to uncover the hidden truth. Will you be able to find out who you really are?